The year started out with a bang! On Sunday, January 7th at 5:30 am, we got a call from our alarm company that there was an issue at the D'Adamo Personalized Nutrition offices. Peter and I rushed over in -10 degree temperatures, and we were greeted with a sight that we could never have prepared for. The sprinkler system on the top floor of the building ruptured, and pumped close to 10,000 gallons of water throughout the building. The exterior of the building was like an ice palace, which, in retrospect, was quite beautiful. At that time, though, it was terrifying to look at. We immediately assembled the DPN team and our first concern was to secure the warehouse. Products were moved and protected, and we incurred no significant damage to our inventory, although we lost some of our packing and shipping materials. The business side of the building, which houses administration, finance, customer service and marketing, did not fare as well, although our server and key computers were secured. We spent two days on high alert, and Peter led the staffers, armed with a fleet of shop-vacs, as we did emergency water removal. This was a critical piece in our ability to recover, as had we not done that in that critical 48-hour time period, we would have had to move offsite for 3 months, as many of the other tenants have had to do. I’ve always known Peter to be a visionary and a handy man, and these two qualities were the hallmark of how he catalyzed our team and got us through this crisis. In Chinese, the symbol for crisis and opportunity is the same character, and it is very true in this situation. This event was an opportunity for us to pull together as an organization, and I have never been more proud of DPN than I am today. A round of applause to Peter, Bob Messineo, Melissa Cybart (and her husband, Gary, who jumped right in to help out), Augusto, Forrest (and his brother Zephyr who lent helping hands) for the first 24 hours of the reclamation project! And more thanks to all the DPN staff, who worked in less than adequate space or worked remotely to take orders, process, package and ship so that our customers got their products. As we head into February, it is important to remember to support our immune systems and stay healthy. We’ve included a shout out to Peter’s favorites for immune support and don’t forget to include Vitamin D. Take care of your cardiovascular systems, and remember to “show the love,” on Valentine’s Day …and get excited, as you are going to have some new “Datapunk Diet Buddies” soon. Thanks to all our great DPN customers! You are the reason we love our jobs and have purpose in the world. For more information, including details about diet and exercise recommendations, you can refer to my book Cardiovascular Disease:Cardiovascular Disease: Fight It With the Blood Type Diet. 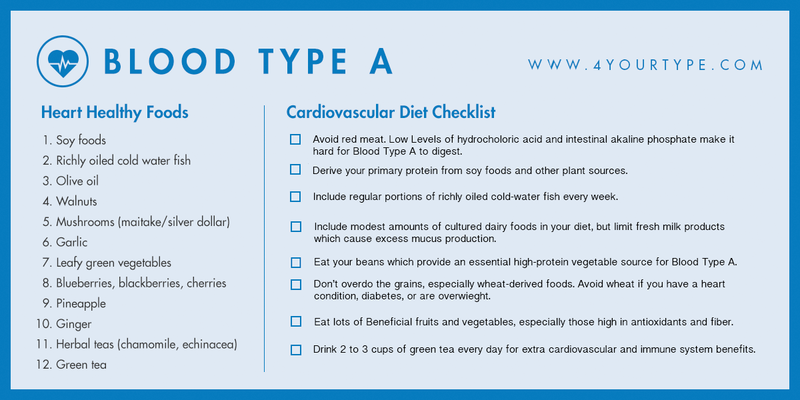 The checklists below are excerpted from my book and are great guidelines to get started on the path to better heart health. 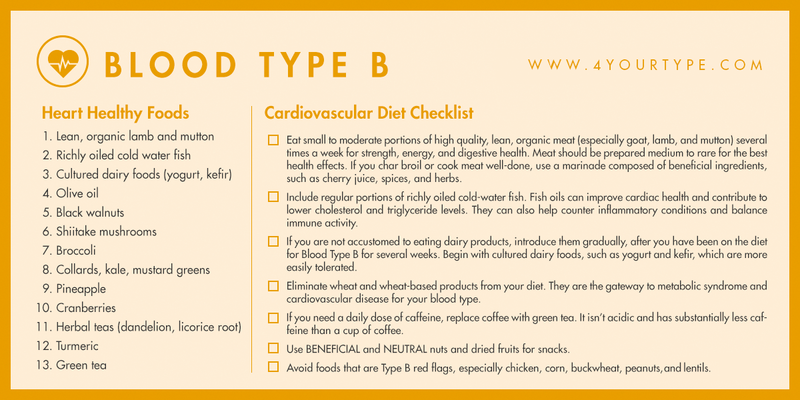 A complete listing of current food values for the Blood Type Diet can be found on the TypeBase. If you need any supplements specific to cardiovascular health, visit our Cardiovascular Support page. 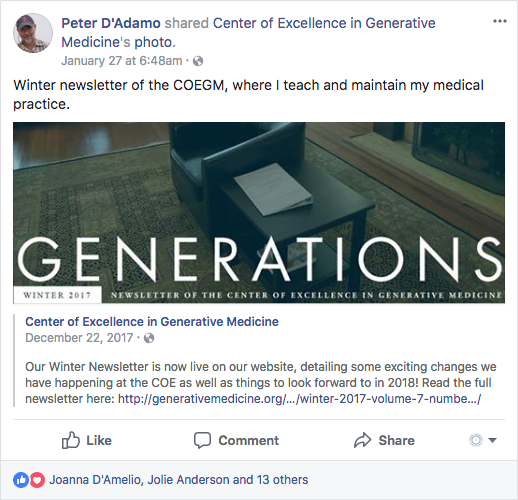 Dr. Peter D'Adamo has been busy. He helped educate our audience with tips for protecting against seasonal illnesses in this recent blog post. He shared this article from Harvard about the positive impact Vitamin D supplementation can have to help protect against colds and flu. He continues to see patients and oversee the student teaching shift at the Center of Excellence in Generative Medicine. 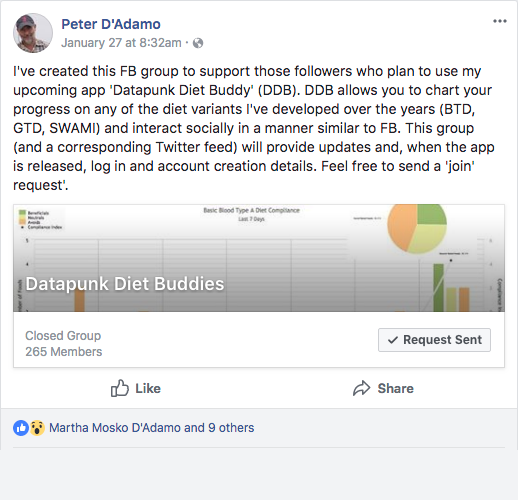 And, most exciting of all, he has been working diligently on developing the Datapunk Diet Buddy, a soon-to-be-released web app that allows you to track adherence to any of his current D'Adamo Diet Systems (Blood Type Diet, GenoType Diet and SWAMI) using a simple and quick 'diet diary' input system. Then you can track foods and compliance, manage your diet plan, and even interact with other dieters to support one another. Stay tuned! 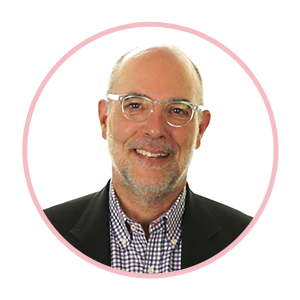 To stay up to date with Dr. D’Adamo, be sure to follow him on Facebook & Twitter! Like most people, I didn’t take my health too seriously until I got older. When I turned 40 I was 230 pounds and increasingly concerned about the history of diabetes that ran in my family. 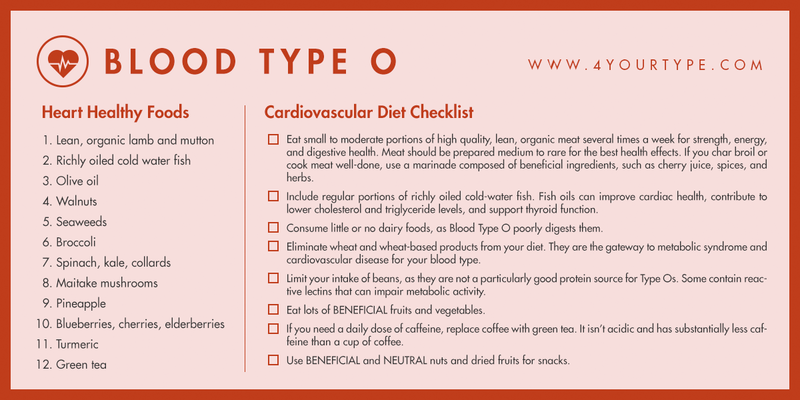 After looking at lots of different diet plans, I decided to try the Blood Type Diet for my Type O blood. The weight began to melt off at a pace I could hardly believe. All I did was eliminate the foods that were problematic for my type; I wasn’t even exercising or doing anything extra! Recently, I found out that I was having heart trouble when I went to the doctor. 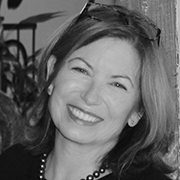 Part of the problem was tied to how my body manufactured and used insulin improperly. I trusted Dr. D’Adamo’s guidance and picked up his book on the topic, Cardiovascular Disease: Fight it with the Blood Type Diet. 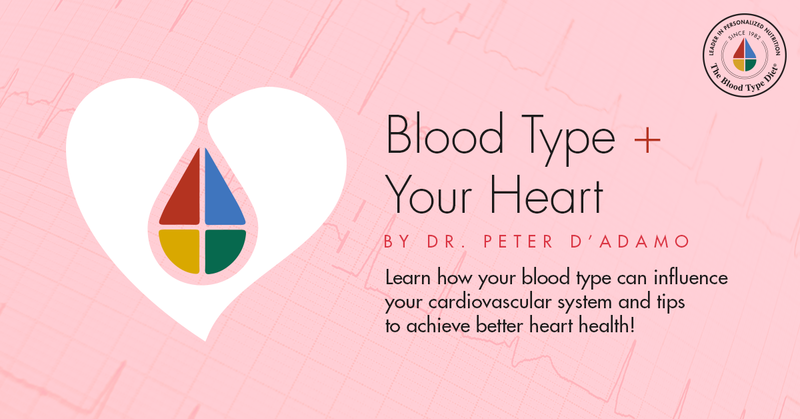 By following the more specific protocols in the book for only six months (which included carbohydrate and sugar reduction), all my heart health issues have improved by leaps and bounds. I also supplemented with Deflect O, which blocked a lot of harmful lectin reactions in my body that wreaked havoc on my insulin levels and subsequently, my heart health. I am now 48 years old and weigh around 165 pounds, the same weight I was when I was 18! I have more energy and have regulated ominous issues that were looming from my family history. I can’t thank Dr. D’Adamo enough for his diet guidance that goes so far beyond the over-inflated goal of weight loss. The weight reduction has just been one excellent component of my overall better health that I will be enjoying and maintaining for years to come. 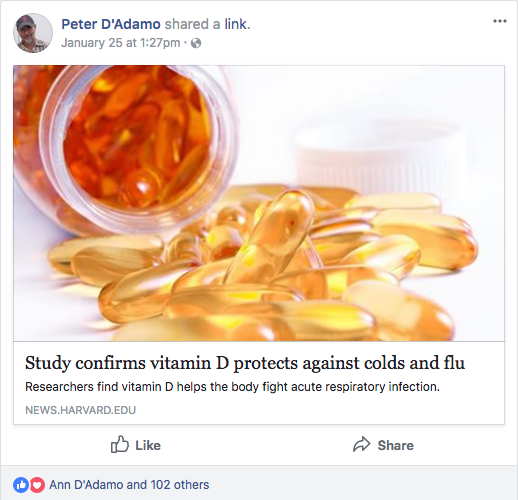 Dr. Peter D’Adamo recently shared an article from Harvard University about the importance of Vitamin D for warding off colds and other illnesses. South Norwalk, the beautiful town where we are headquartered, gets a lovely writeup on bbook.com! 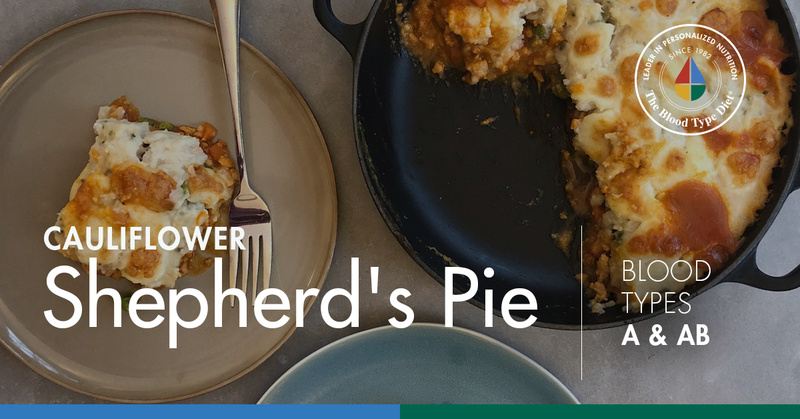 Shepherd's Pie is a warm and savory comfort food that has been a staple in country homes for decades. 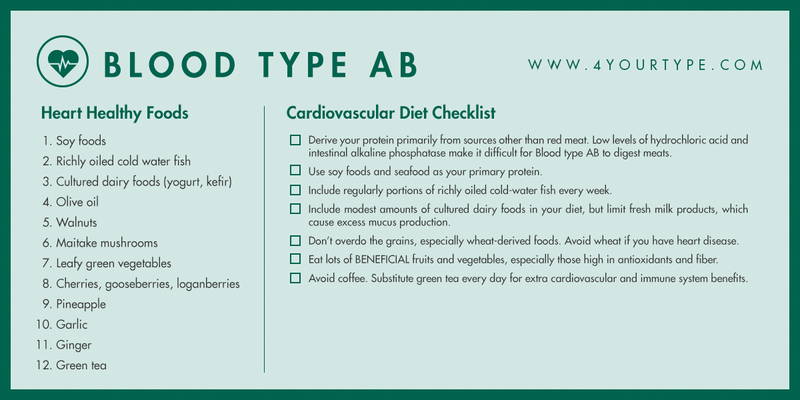 Though it can normally be a tricky dish to cook in a Blood Type Diet household because of the need for dairy, meat and baking ingredients, three things that tend to vary noticeably between blood types, we created two versions of the dish that will complement any blood type’s needs. 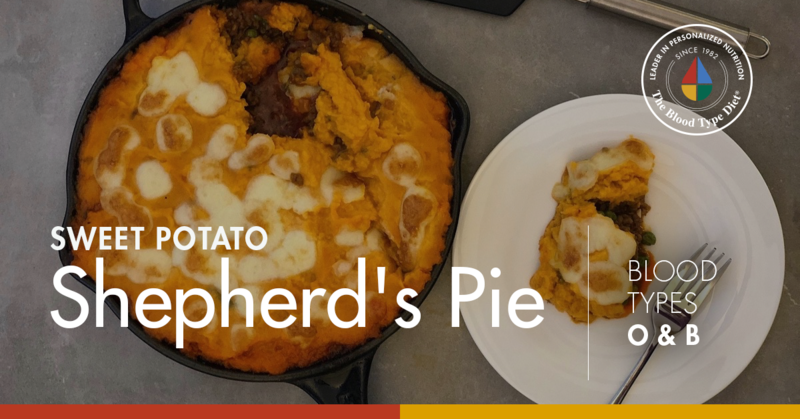 For Types O & B, we have a delicious take on the classic with sweet potato and beef, while Type A & AB can enjoy our variation featuring cauliflower and turkey. Both are sure to give you that soothing, “stick to your ribs” feeling without the need for the guilt that usually comes with it!